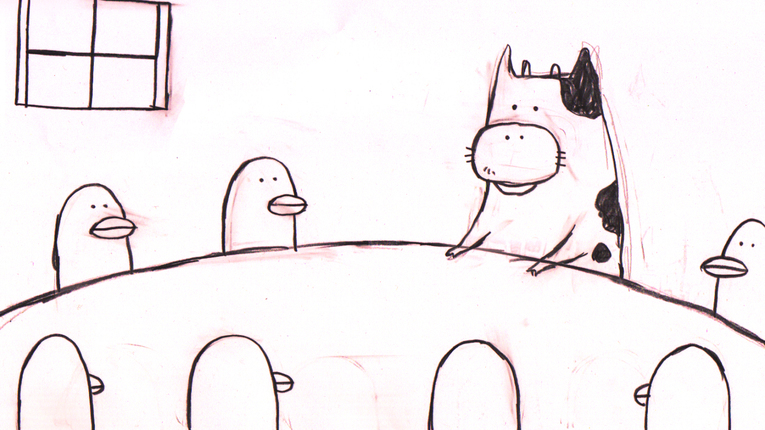 A short animation depicting a peaceful day of a cow. Mystical characters (animals) drawn by simple line drawings on paper play with little twists that are used everywhere in each episode but culminate in a happy ending. The artist’s originality sparkles in her touch of pencil drawings rubbed with an eraser, the peculiar timing of the conversations and the movements of the characters. This work presents a unique world having a pastoral visual image of cute animals, but also with a dark sense of humor.